We’ve been on a little travel break from blogging! One was a personal vacation trip and one was a business trip. We’d like to share some links today about a place we came across that impressed us with their commitment to some of the same principles that guide us at Frontier. 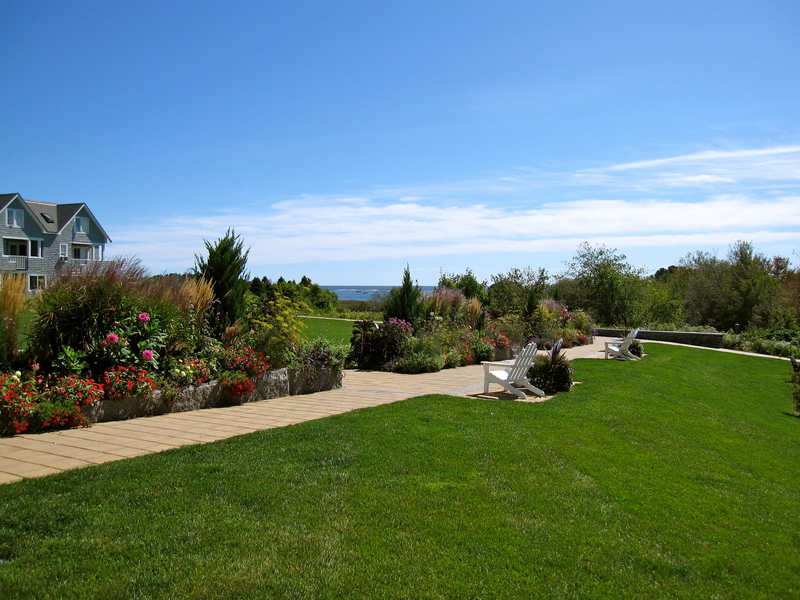 We traveled to Maine for a relaxing weekend at a beautiful place called Inn by the Sea, on Cape Elizabeth along the southern coast near Portland. They successfully blend luxury and service with sustainability, minimizing the impact of hotel operations with of eco friendly initiatives and an appreciation of all things local. Guests are surrounded by an indigenous garden which provides food and habitat for wildlife, and rooms are cleaned with non-toxic products. Room amenities are natural, in recycled bottles and displayed on recycled glass trays. 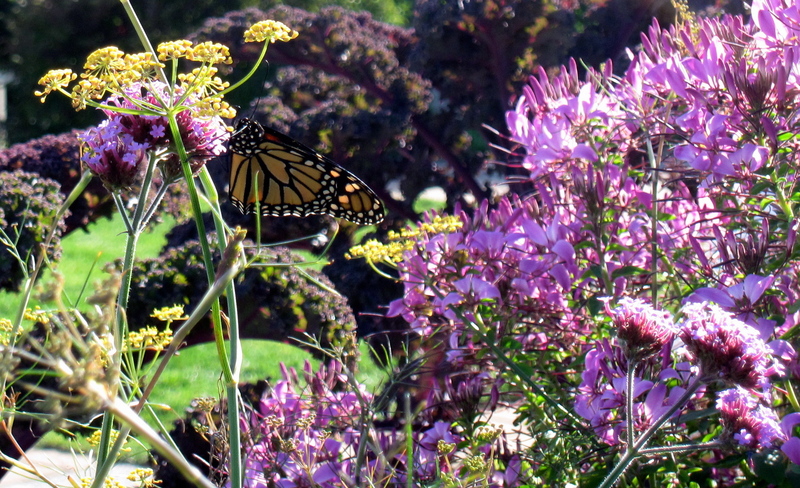 The sheet and towel program helps protect the endangered monarch butterfly. They recycle and use post consumer paper products. The cardio room has recycled rubber floors, the spa has recycled sheet rock walls and bamboo towels, and the Inn is heated with biofuel and the pool with solar panels. The Inn also recognizes the value of the community by supporting local charities. The Inn offers classes to guests to pass on the eco-friendly message. Weekly seminars and garden tours are offered on the Inn’s 5 acres of indigenous seaside gardens, teaching guests how to plant for wildlife. The Inn helps environmentally-conscious couples plan unique White weddings in green and, for the corporate traveler, responsible green meetings. 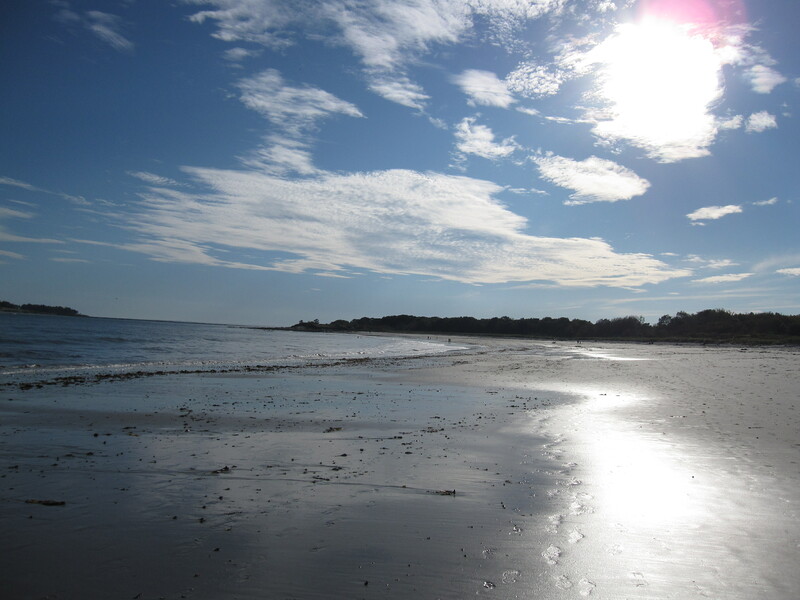 You can read more about the Inn by the Sea’s green initiatives here. At the hotel’s restaurant, Sea Glass, Chef Mitchell Kaldrovich specializes in creating dishes featuring Maine’s local bounty – both seafood and seasonal produce sourced from local farms. Here’s one of his favorite recipes using local ingredients that you’re sure to find nearby as well. Combine red wine, minced shallots, thyme and bay Leaves in a large sauce pan. Reduce to half and discard the herbs. Put butter in a stand mixer with paddle attachment and add the red wine reduction. Whip until combined. In the meantime, use a food processor to puree the Kalamata olives and balsamic vinegar using some of the olive bring. Once pureed, add to the whipped butter in the stand mixer and whip until the liquids are combined into the soft butter. Season with salt and pepper to taste. Let us know what seasonal produce is making an appearance on your table right now! This entry was posted in Sustainability and tagged chef, food, Maine, sourcing, Sustainability, travel by Cayenne Room. Bookmark the permalink.